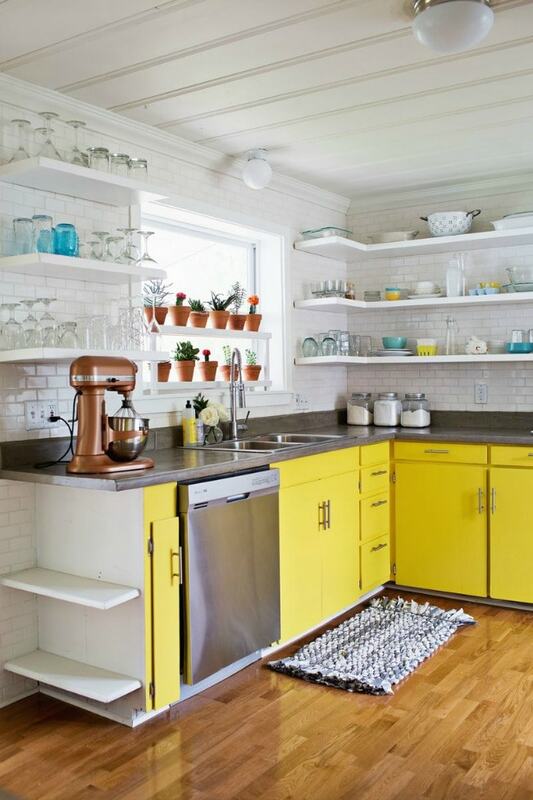 This kitchen went through an amazing transformation, from country brown cabinets to bright yellow on the lower cabinets and open shelving on top! 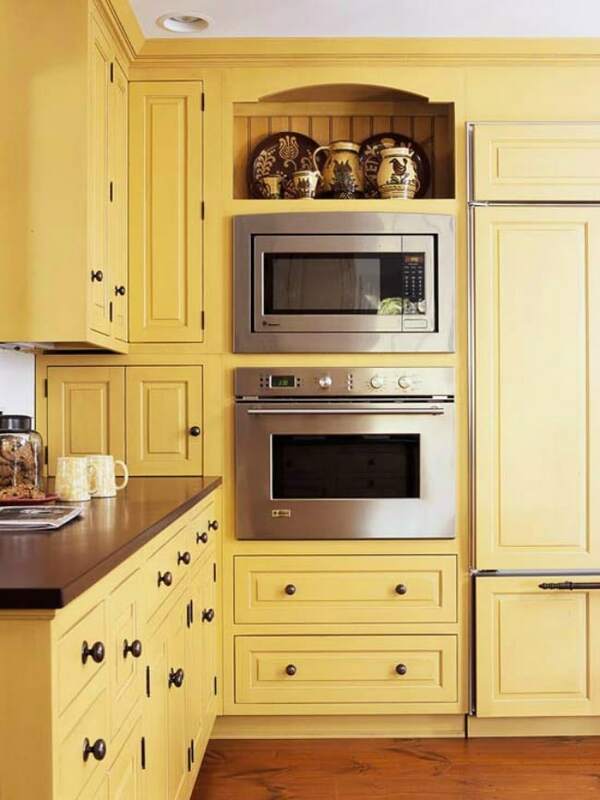 A soft buttery yellow is a warm color to paint the cabinets with. It leads to a sophisticated look as well. 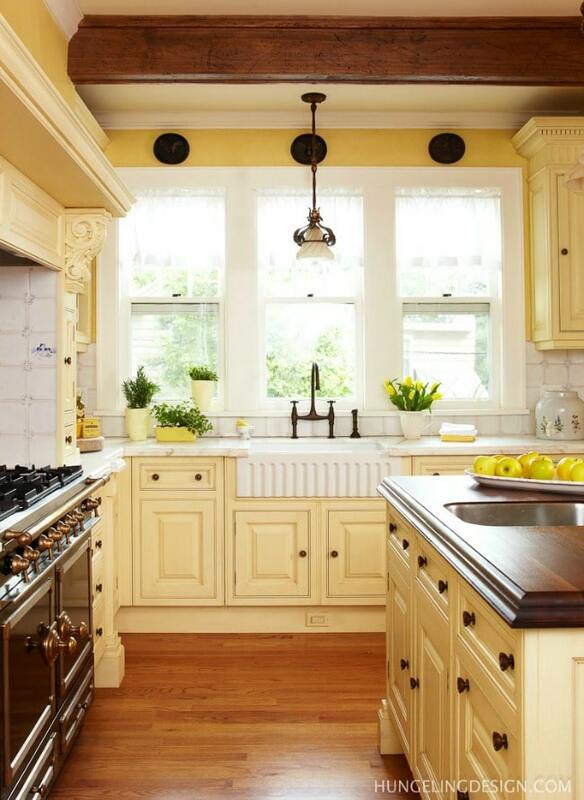 Such a charming kitchen, especially with all the rich wood counters being paired with this creamy yellow. Copyright © 2016. Created by hyominet.